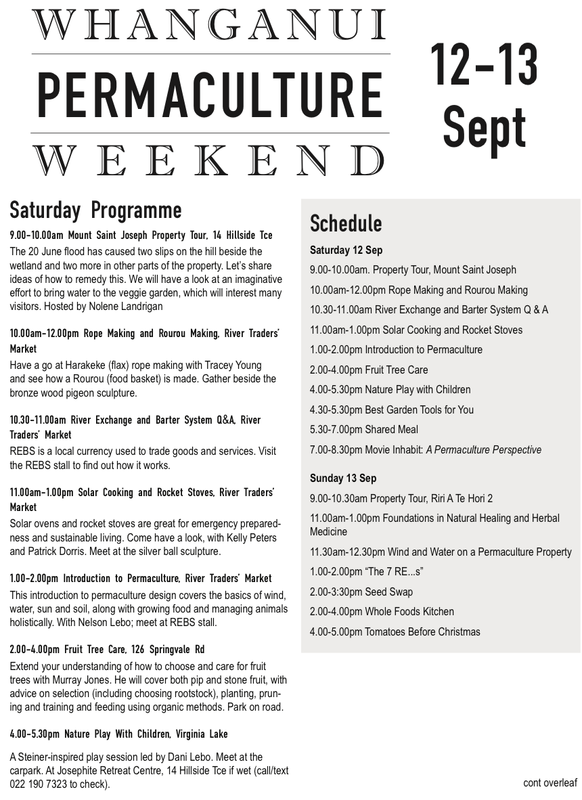 The 7th Annual Whanganui Permaculture Weekend is scheduled for 7th-8th September, following as usual the Festival of Adult Learning (formerly Adult Learner’s Week). 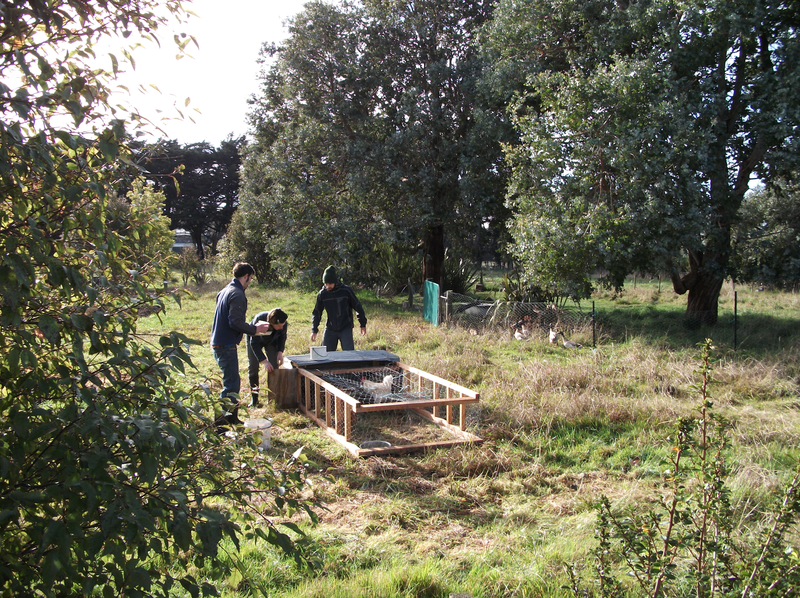 Thanks to Adult and Community Education Aotearoa (ACE) we’re able to offer a full week of events for the community in addition to Permaculture Weekend. Workshops, presentations and tours to include: Small backyard gardens; Basic care for fruit trees; Reducing plastic waste at home; Renter’s rights and responsibilities; Ensuring a healthy rental property (for landlords); Permaculture Farm Tour; more events to be posted soon. “Hippy farms always fail.” These were the words of Chuck Barry, a small-scale organic farmer I met in Montrose, Colorado about ten years ago. Chuck made a comfortable living growing high quality vegetables on two acres in a dry and seasonally cold environment that may be compared with Central Otago high country. His comment was based on observations of some people going into farming with good intentions but little understanding of the amount of work involved and inadequate business sense. There is popular, quaint, romantic notion among many people about growing food organically. But at the end of the day, when faced with actually doing it, most hippies opt out because it turns out to be just too hard. On the other end of the spectrum – as we have been hearing recently in the news – many conventional farms also fail. Conventional farming wisdom over the last decade goes something like this: 1) borrow lots of money from the bank; 2) convert to dairy; 3) borrow more money; 4) rely on ever-increasing dairy pay outs; 5) borrow more money; 6) rely on ever-increasing land prices; 7) get rich; 8) what could possibly go wrong? Well, now we know. Dairy pay outs have fallen through the floor and many farmers are pushed to the wall. On one hand I feel sorry for those famers who have to sell because of their now un-payable debts. But on the other hand, I question why they bought into the paradigm described above in the first place, which appears to me to be very risky. Alongside financial debt, many conventional farms also run a large soil debt. 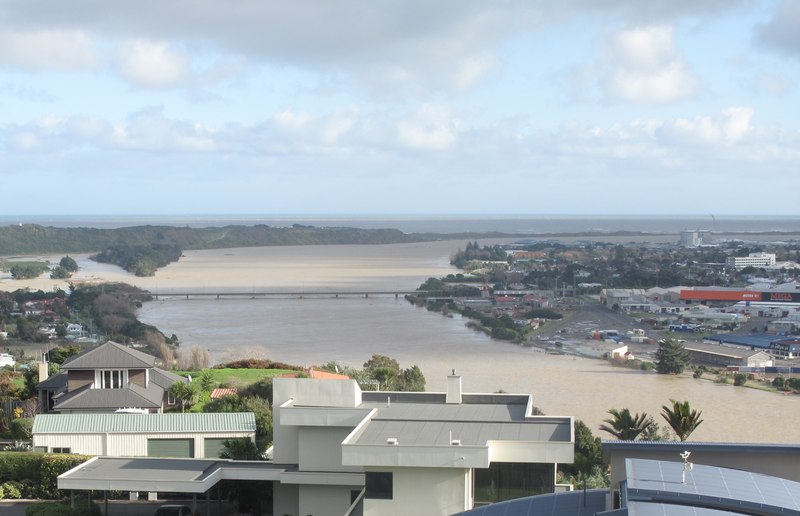 We see it every day flowing past our city and out into the Tasman Sea. Like financial debt, soil debt is difficult to repay but not impossible. Rebuilding soil fertility while growing food is sometimes called regenerative agriculture. Regenerative agriculture can include organic farming practices, some biodynamic techniques, and holistic range management. All three of these fall within the scope of the eco-design system known as permaculture. I see permaculture as the middle ground between failed hippy farms and failed conventional farms. For those who are far right of centre, permaculture may seem like a hippy philosophy, but I would argue that its endurance (40 years and counting) proves it is not. Permaculture farming and land use is practiced around the world in a wide range of climatic conditions from desert to rainforest and in between. It is likely that someone in every country on earth is practicing permaculture in one form or another. Locally, permaculture is practiced by a small but growing number of people in our community – mostly in the forms of organic and regenerative agriculture. But the scope of permaculture extends far beyond growing food. As a system for eco-design, it is a natural lens through which to view energy-efficient housing, and even the waste management programme for community events that I brought to Whanganui five years ago can be considered an application of permaculture thinking because it takes a holisitic perspective of inputs, outputs, and the human element of waste management. While permaculture is only one of many eco-design philosophies, what sets it apart from the others in that it is based in a set of core ethics: care for the earth; care for people; share surplus resources. It is these ethics that are the driving force behind the third annual Whanganui Permaculture Weekend, as dedicated permaculturists in our community share their knowledge, experience and enthusiasm on a wide range of topics. Thanks to those who have stepped up with offerings next weekend and thanks to Adult and Community Education Aotearoa for working with us to organise Adult Learners Week, which starts Sunday. All events are free thanks in part to support from Adult and Community Education Aotearoa. Saturday 12th 4:30-5:30 PM. Best Gardening Tools for You. Josephite Retreat Centre, 14 Hillside Tce. Sunday 13th 4-5 PM. Tomatoes Before Christmas. Wanganui Garden Centre, 95a Gonville Ave.